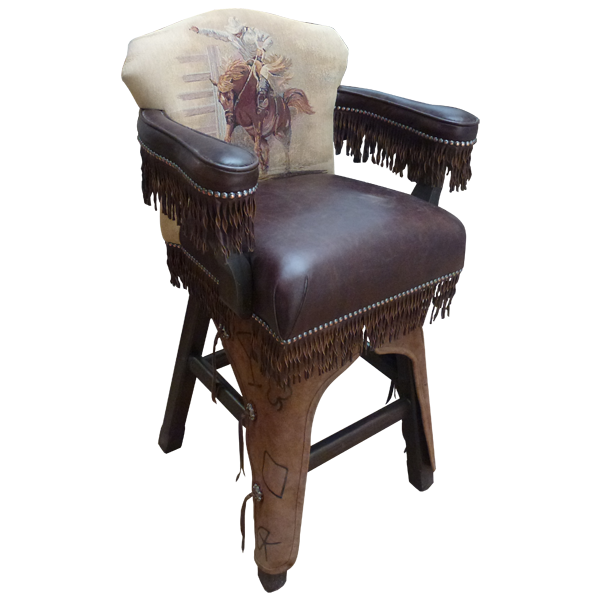 With its full grain leather chaps, rodeo design of a cowboy on a bucking bronc, and full grain leather fringe, this handcrafted bar stool reflects classic Western traditions. The seat and the armrest are upholstered in chocolate colored full grain leather, and full grain leather fringe decorates the armrest and also the entire base of the bar stool seat. 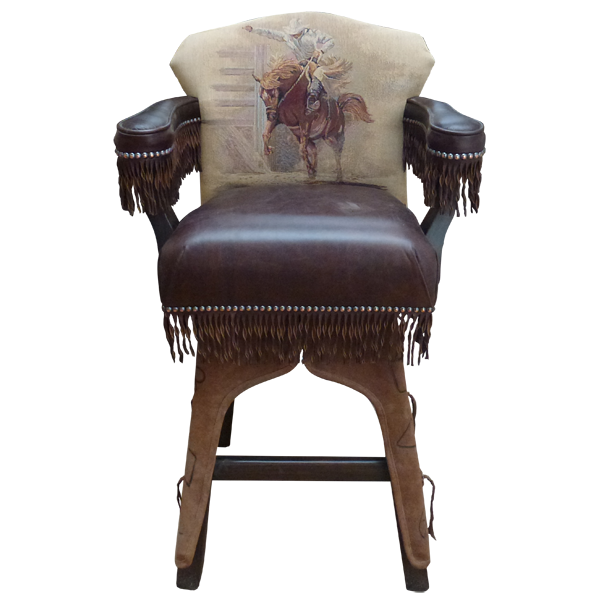 The inside seat back is upholstered in fine fabric with a design of a cowboy on a bucking bronc. 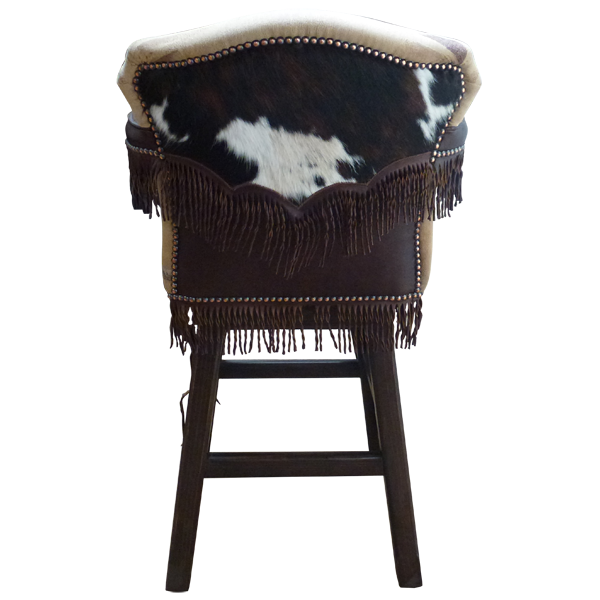 The reverse seat back is decorated in genuine patterned cowhide with full grain leather fringe in a “V” pattern. All upholstery and fringe is carefully hand tacked to the wooden base by our skilled craftsmen. Each of the front legs are embellished with full grain leather chaps, and each chap is adorned with three hand forged iron conchos with a silver finish and with latigo leather strings. We can personalize your chaps with your ranch brand or with your initials. Durable as well as beautiful, the bar stool is made of the best wood available. The entire bar stool rest on splayed solid wood legs joined by a midway box stretcher. It swivels 180° and is 100% customizable.